Microsoft's Build 2015 conference is well underway, and following the launch of a new Windows 10 preview build yesterday, the company has released a separate developer preview today that's targeted at the "Maker" community. 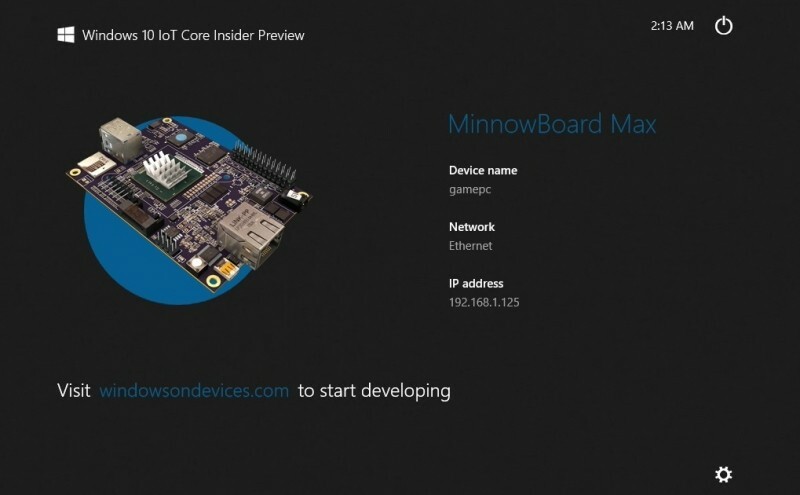 The Windows 10 IoT Core Insider Preview - a name only Microsoft could come up with - is now available for developers to download and play around with. The specialized build of Windows is designed to support devices like the Raspberry Pi 2 and Intel Minnowboard Max, allowing device builders to get the most out of the limited hardware of these boards. According to Microsoft, Windows 10 IoT Core gives device builders "world-class development tools, the power of the Universal Windows Platform, direct access to hardware capabilities, and the ability to remotely debug, update, and manage the software" that runs on development boards like the Raspberry Pi 2. Currently, the preview build is rough around the edges, and Microsoft warns that developers looking for a commercial-quality release should wait until later this year. However the IoT Core preview is stable enough to test programs on, and Microsoft is hoping that the public preview will give them feedback on how to make the platform better as a whole. Alongside the launch of the Windows 10 IoT Core Insider Preview, Microsoft has also announced a partnership with Arduino, making Windows 10 "the world’s first Arduino-certified operating system". The partnership brings several open-source libraries to the Arduino platform. Windows Virtual Shield for Arduino gives developers wireless access to sensors from a Windows-powered device like a Lumia 530, while Windows Remote Arduino allows Universal Apps to send commands to an Arduino wirelessly for execution.